In the five years since the downfall of Malcolm Blackheart and his dark Mistress, Lathwi has led a life free of human complications. Now two old acquaintances intrude on her solitude. Pawl has come in search of help against an infestation of ghosts, while Luke bears dire news of dragonslayings. 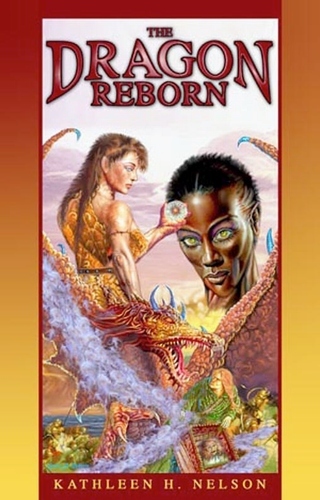 Lathwi recruits her mother, Taziem, to hunt down and destroy the murderers, and then sets out with Pawl to restore the dead to their rest. Their adventures draw them into the badlands of the south, where they encounter an ambitious warlord, his troubled mage, and a deranged dragonsire. The balance of continental power hinges on the final confrontation. Will humans dominate? Or will dragons?